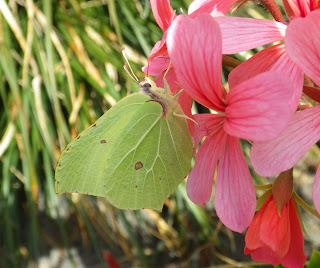 I spotted this male brimstone feeding at flowers of a potted Pelargonium in the garden at about 1.00pm today (Sunday, 13/8). 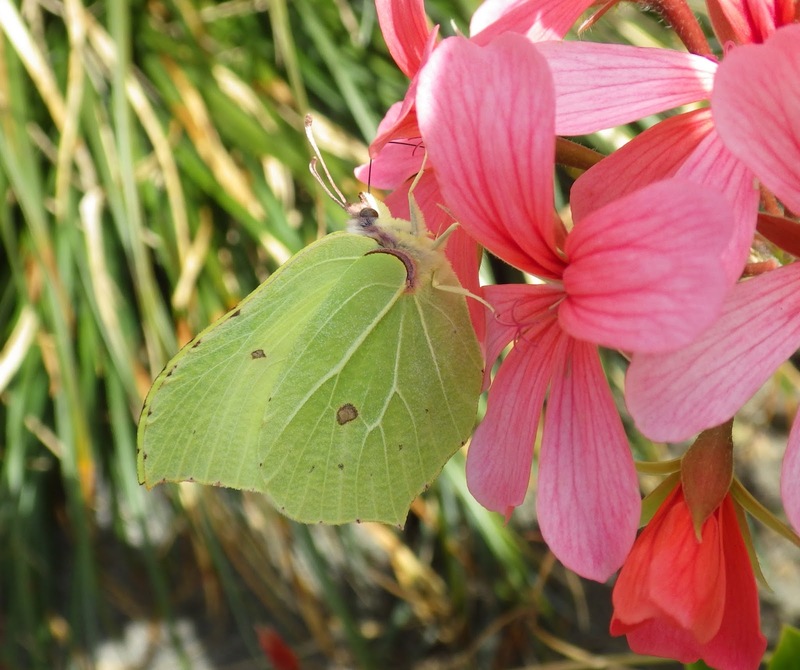 Pelargonium (`Geranium`) is not a flower that I normally plant to provide nectar for Lepidoptera and other insects but obviously this individual must like it, as he was going from flower to flower, spending a few minutes at each. I trapped at home last night, catching about 40 species (including several `2nd-brooders`), but no great surprises. Well spotted, and nice to see, and know. Great close up. Yes, nice photo, it took a little while for me to see the butterfly against the background. And before anyone says 'should've gone to Specsavers', I'm due an appointment! I always put it down to camouflage...ha ha.